We all know about the transformative power of paint for your wall, ceilings, and even floors, but have you thought about updating your furniture? 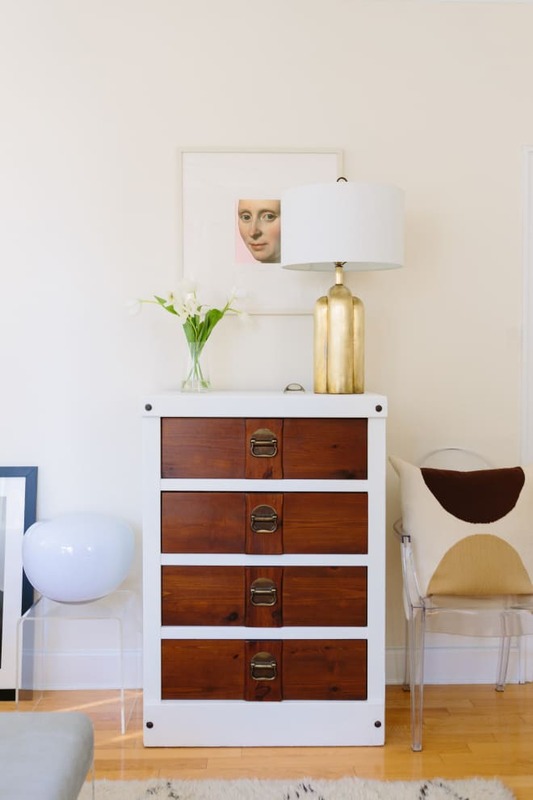 If you’re giving yourself a fresh start for 2019—new haircut, workout routine, healthy habits—give your furniture a New Year’s refresh with these 20 tutorials that will restore, revitalize, or totally redo your favorite wood, metal, leather, vinyl, marble, and upholstered pieces. For those who have small living rooms, picking out paint colors can be a little tricky. On the one hand, painting the whole room white can open up the walls and make the small room feel a little more airy. On the other hand, limiting yourself to just one stark color can put a cramp on some people’s creativity. In order to give you more color options to work with when it comes to your living quarters, we asked a series of designers what their favorite colors would be for more petite living rooms. From creams, to dark grays, to off-whites, there are a lot of options to play with! Paint is about so much more than just color. Sure, it’s that, but it’s also a transformative way to define a space, fake the eye, and change the entire feel of a room. You might not be able to make major structural changes to your space, but that doesn’t mean you don’t have a powerful tool in your arsenal. See how these paint jobs pull off some clever magic.